Interesting experiment. I didn't saw any dark clouds at the beginning, so it was confusing as hell :D Like the others stated, the controls feel a bit off, especially because the player character automatically aligns, which makes it difficult to get the orientation back after making a little pause. Any yes, some music it missing! The controls were a little clunky at first (I mistakenly thought it was all-mouse or all-keyboard), but I really liked the mixing of two works and the level of visuals you were able to make work in such a short time frame! Quite a unique and entertaining experience! 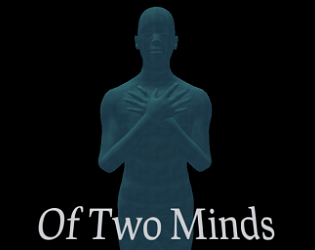 The surreal atmospheres complimented the poetry nicely, job well done! Very trippy. I loved the dream-like atmosphere. @Nathaniel Nelson - Great! Glad you enjoyed it, and point well taken about the beginning. There are dark blue clouds in the distance to give you some spacial awareness, but I'm realizing too late that my gamma is set fairly high, so players with lower gamma settings can't make the clouds out well, or at all, making the first few moments even more disorienting than intended. Oh well; more knowledge for next time, right? Thanks for the feedback, and again, glad you enjoyed the rest. @Jupiter Hadley - Thanks for the coverage, and sorry it looks like you had a bit of trouble sorting out what to do at first. I really liked this. 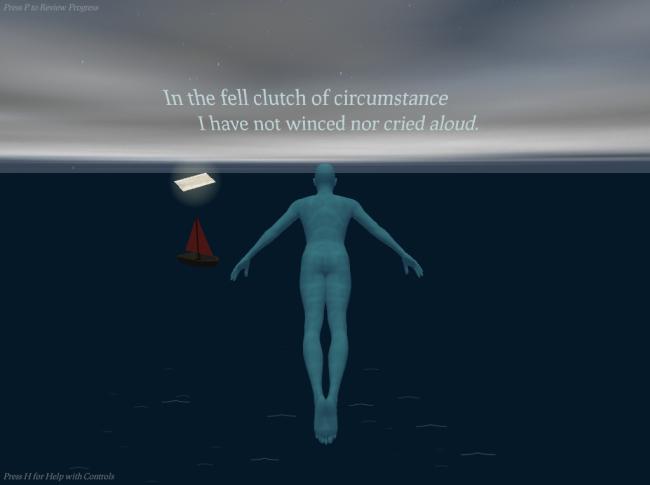 The two poems were wonderfully put together and the game play made it seem surreal, and like I was on my own internal-cosmic revelation. 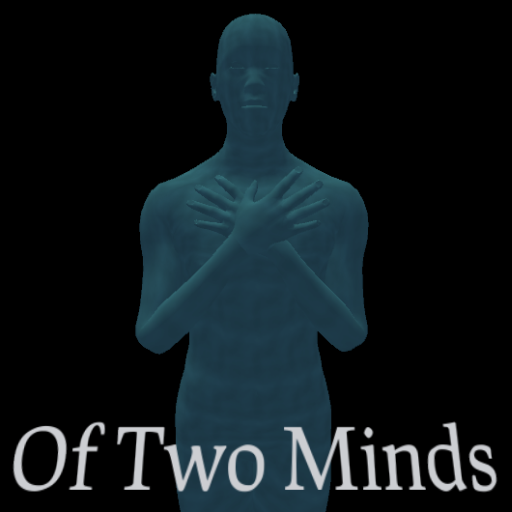 Of Two Minds is also available to play online.